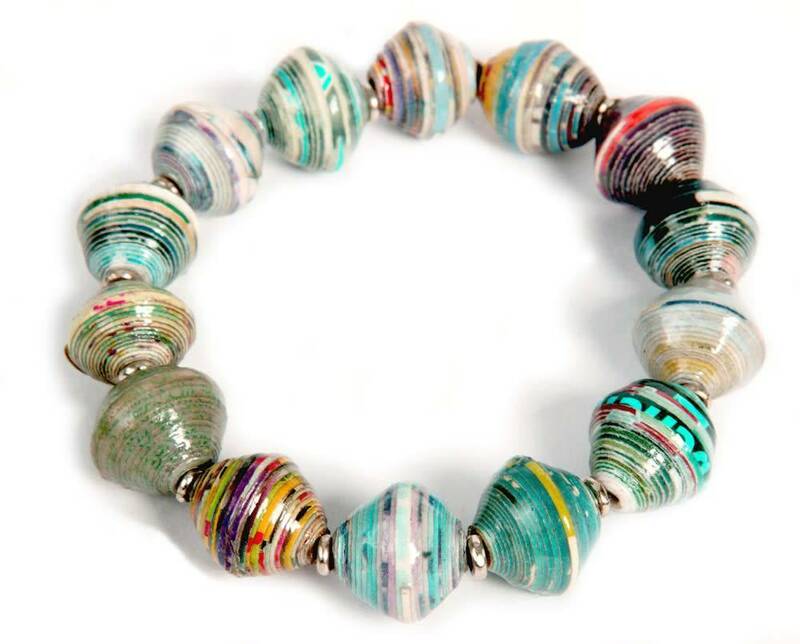 Colorful paper beads are accented with silver rings in this fun stretchy bracelet. Wear one or stack several. Earthtones will vary. Each paper bead is coated with a non-toxic lacquer making them water-resistant and highly durable. Handmade in Kenya.